The Moonstones are a portal to another place, another time. Lose yourself in their mystic grey depths. Who knows where you will end up? 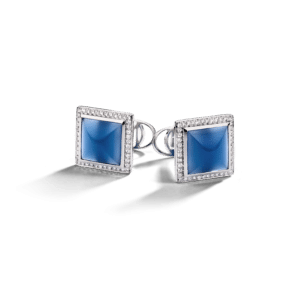 One 18K white gold pair of cufflinks, containing 72 (seventy two) diamonds and 2 (two) moonstones.